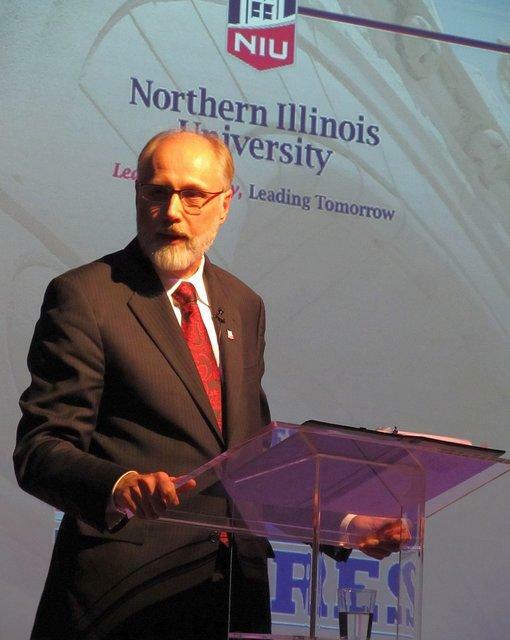 Northern Illinois University’s Acting President said it’s time to repair the damage done by the state budget impasse. That includes addressing employee compensation. 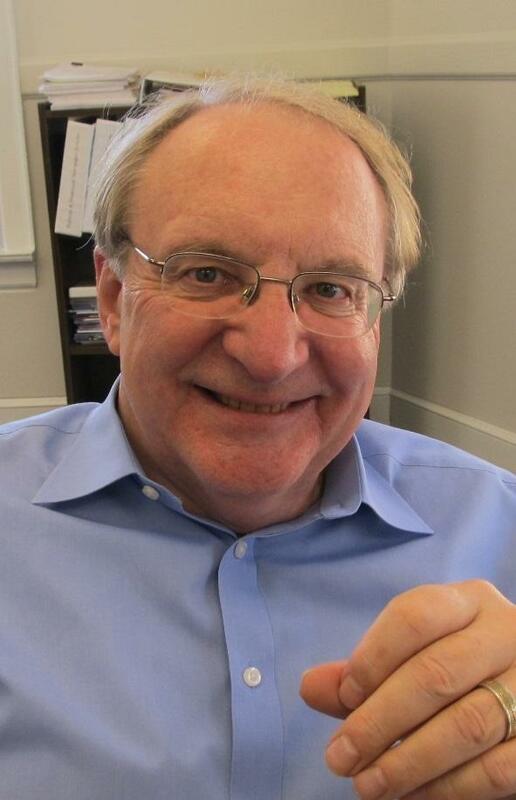 After more than 700 days without, Illinois has a budget and Northern Illinois University has funding for a full year. Acting NIU President Lisa Freeman said the school must now work to make up ground that was lost during the budget impasse. 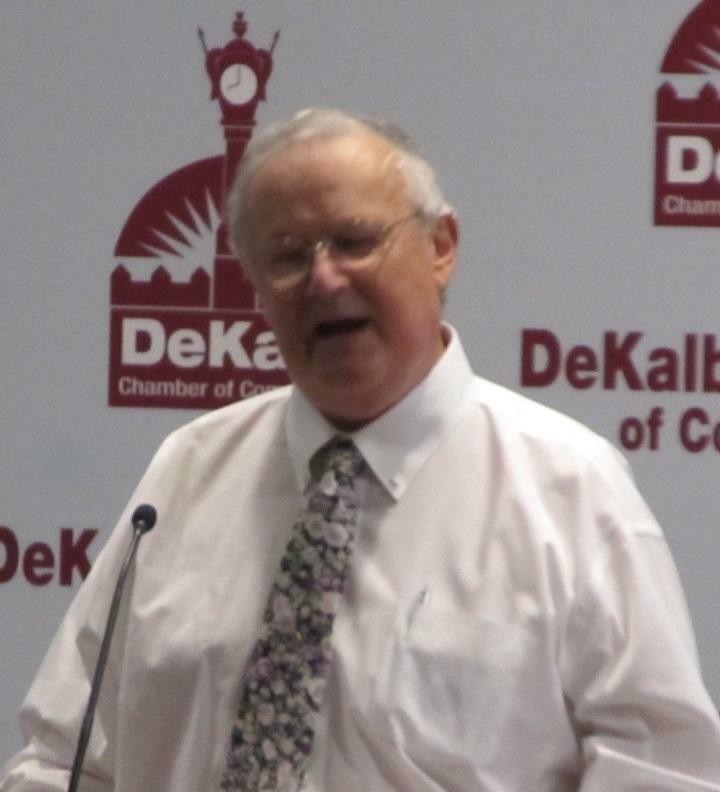 DeKalb Mayor Jerry Smith has a very positive attitude about his first 100 days in office. At a Chamber of Commerce event Thursday morning, Smith highlighted a long list of projects begun or continued in the first few months of his administration. He also emphasized the beneficial ways DeKalb and Northern Illinois University have worked together and said he would seek more opportunities for collaboration. That includes bringing together NIU and community transit to work as one system. He also cited partnerships with other private, public and educational organizations. Forbes Magazine recently ranked Morrison Institute of Technology 19th in the nation among 2-year trade schools for best return on investment. The Whiteside County institution was the fifth-highest among schools not involving a nursing program. Deana Jones, Human Resources Director at Wahl Clipper Corporation’s global headquarters in Sterling, Ill., gave a tour of one of its manufacturing areas. 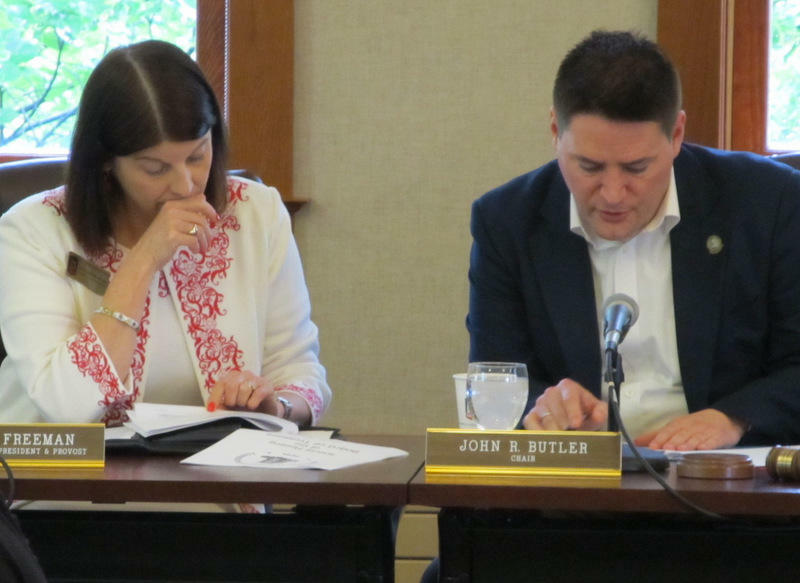 The Winnebago County Board Chairman is trying to decide if merging the County Clerk and Recorder offices is a good idea. Many counties in Illinois already combine the two. Others are moving in that direction. So what’s going on? The office of County Clerk administers elections and vital records like birth certificates, marriage and business licenses. The County Recorder of Deeds administers a library of land records and real-estate transactions, including information needed for deed and title searches such as tax liens and mortgages. 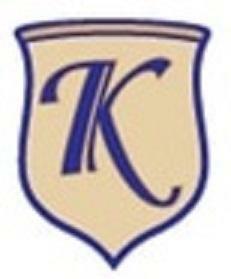 Rockford’s renowned boys choir Kantorei is opening its program to girls for the first time in its 53-year history. The choir announced Thursday that, starting this fall, it will convert its preparatory level group for beginners to a mixed choir of boys and girls. Unchanged voices will also be mixed in the next-level Lyric choir. As their voices mature, singers would eventually advance to separate men’s and women’s performing choirs. 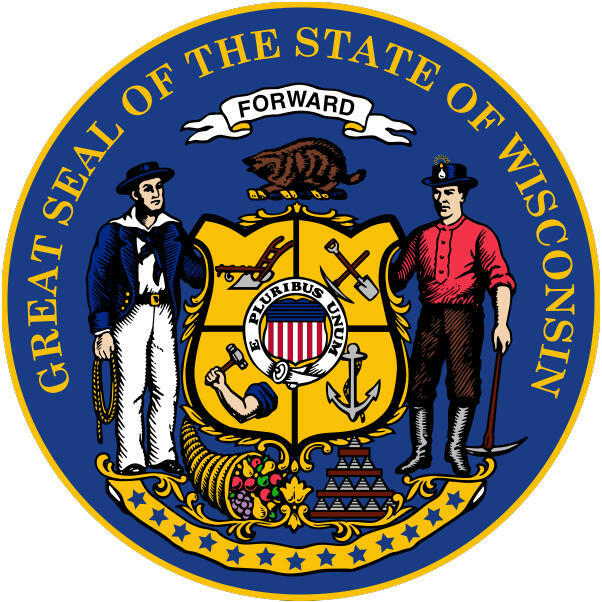 The Wisconsin Legislative Bureau said the recently-passed income tax hike in Illinois will cost Wisconsin more than $50 million in revenue over the next two years. Why? Illinois and Wisconsin have an income tax reciprocity agreement. Without it, residents of one state who work in the other would have to first file in the state where they earn income, pay taxes on that income, and then file again in the state where they reside, claiming a credit for taxes already paid to the first state. Northern Illinois University’s Board of Trustees has released its final annual evaluation of former NIU President Doug Baker. It echoed earlier reviews by the Board, with a few notable exceptions. A “360 degree review” using feedback from across the NIU community served as the basis for the evaluation. The Fourth of July is fast approaching and, for many people, that means fireworks. But officials warn that also can mean fireworks-related injuries and property damage. They’re warning people to be careful when handling fireworks – especially the small ones. 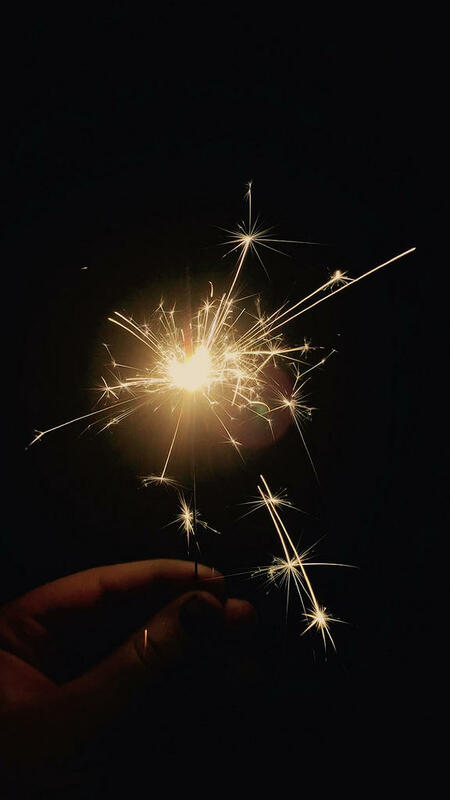 DeKalb Deputy Fire Chief James Zarek said that, on average across the country, 250 people go to the emergency room every day and seven people die because of firework-related injuries in the month around July 4. 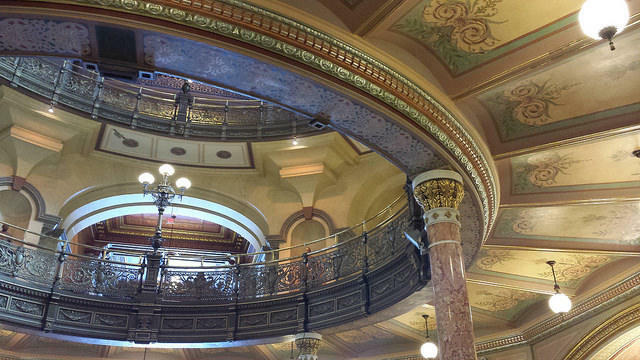 The budget measure, Senate Bill 6, voted on in the Illinois House Friday, while not yet the final word, outlines funding for all aspects of state government operations, goods, services, grants, projects and more. Northern Illinois University’s Board of Trustees Wednesday voted to make NIU Executive Vice President and Provost Lisa Freeman Acting President, effective July 1. 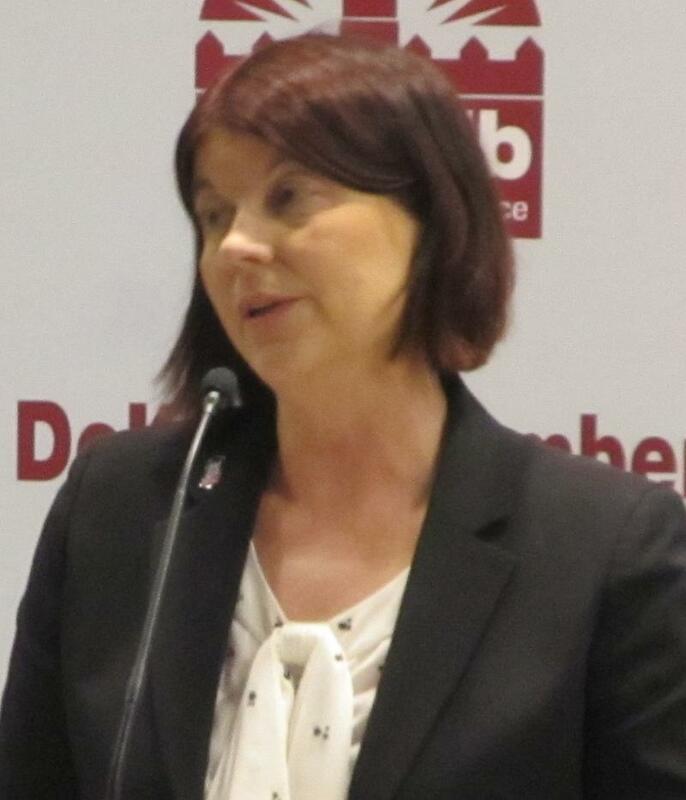 She becomes the first woman to lead NIU. Freeman takes over from NIU President Doug Baker, who leaves at the end of June. Baker resigned after an inspector general’s report on hiring violations by his administration became public. Baker’s term saw an increase in the number of Freedom of Information, or FOIA, requests to NIU over hiring and other decisions. 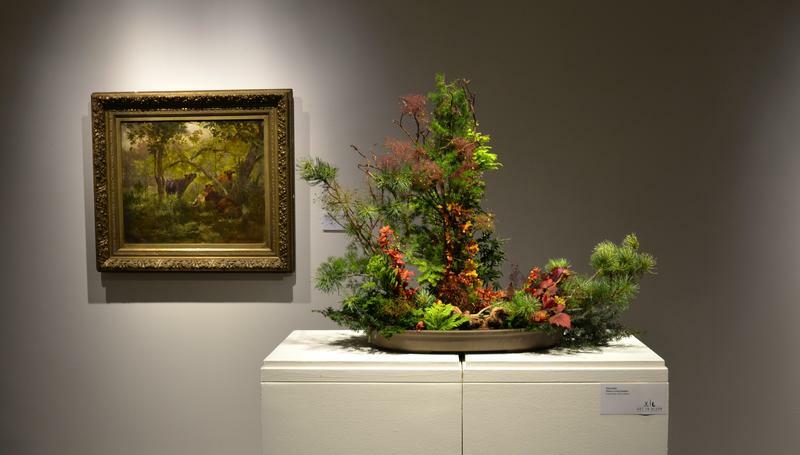 When the Rockford Art Museum decided to start “Art in Bloom” a couple of years ago, David Boccignone was excited by the opportunity to serve as its chair. He sees the event as a way to make the community aware of the amazing artworks in the museum’s own collection by highlighting certain pieces from it by recreating them through floral designs. A northern Illinois Congressman is part of a bipartisan effort to help veterans whose credit is affected adversely by problems associated with the federal Veterans Choice Program. On A Friday Forum earlier this year, Illinois U.S. 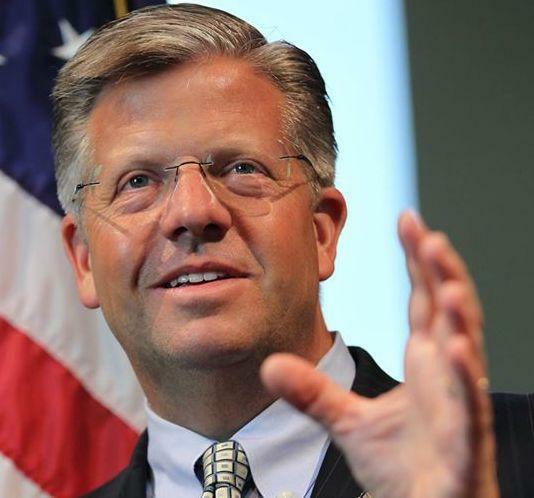 Representatives Bill Foster and Randy Hultgren talked about their hopes and concerns for the new Congress as it began its work. 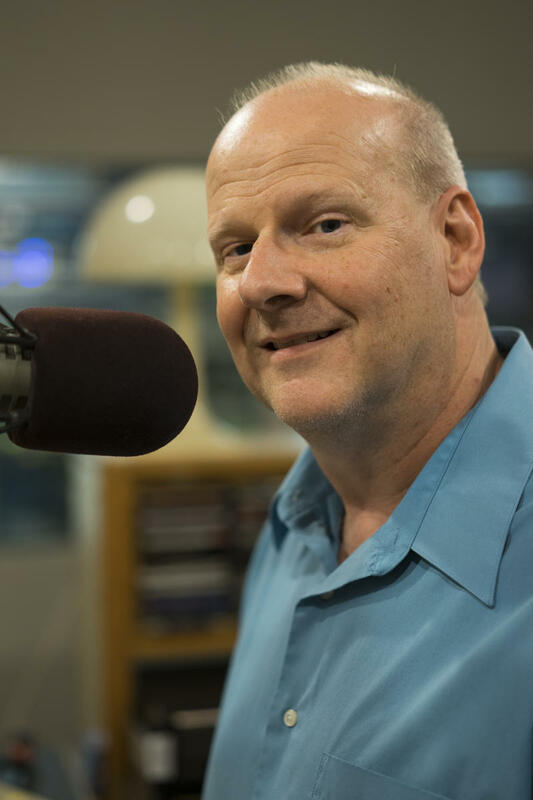 For this week's Friday Forum, WNIJ's Guy Stephens asked the two for an update on how things are going in Congress. 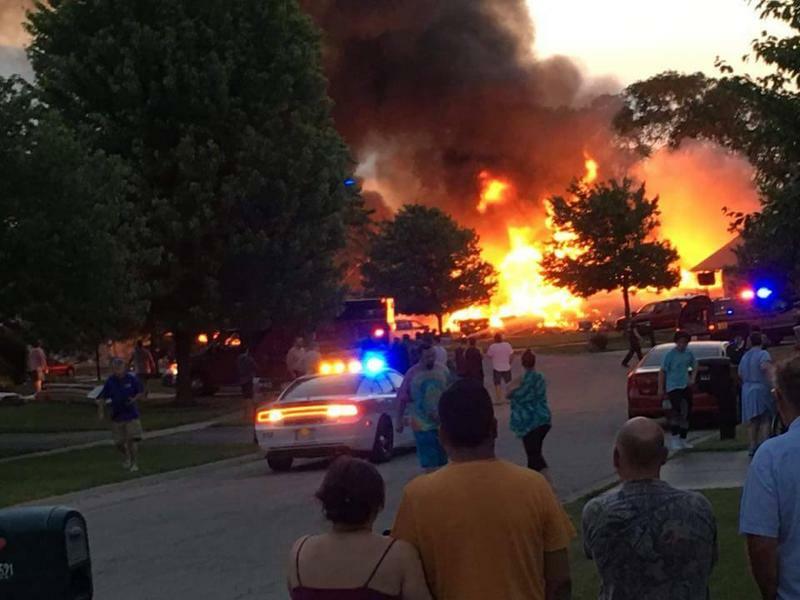 Officials from McHenry County and the Illinois State Fire Marshall's office are sorting out the damage and seeking the cause of a fiery explosion early Sunday morning that destroyed one house and damaged dozens of others. 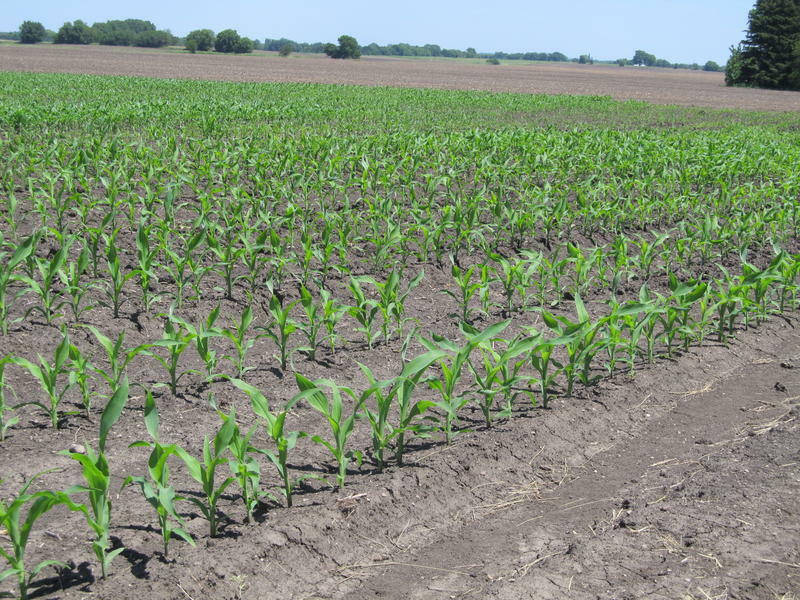 After numerous delays caused by wet weather, almost all of the corn and much of the soybean crop has been planted in northern Illinois. Predictions are that the 2017 corn and soybean harvests in the region won’t match recent record-breaking yields but could still be good. Right now, though, progress is uneven. Rock Valley College Starlight Theatre begins its 51st season Wednesday night with the musical “Disney’s Beauty and the Beast.” The production is the company’s first under a new director in more than three decades. 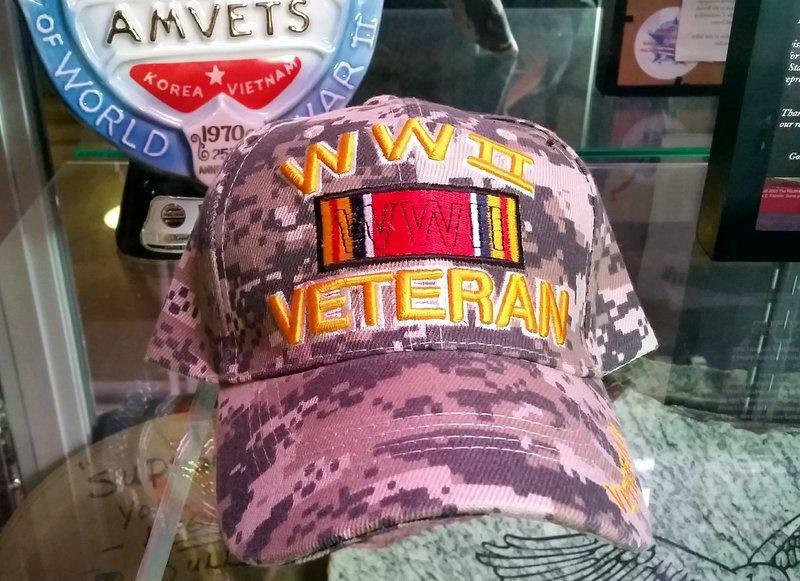 We continue our series “Veterans Choice: Making It Work," with a look at Veterans Choice at the local level. Depending on where they live, veterans in northern Illinois or southern Wisconsin going to a VA hospital will end up either at Hines Hospital in Chicago, Middleton Memorial Hospital in Madison, or the Iowa City Veterans Administration Medical Center. Eric Johnson said there’s something about the music of Timothy Takach -- something deep, and for him, appealing. 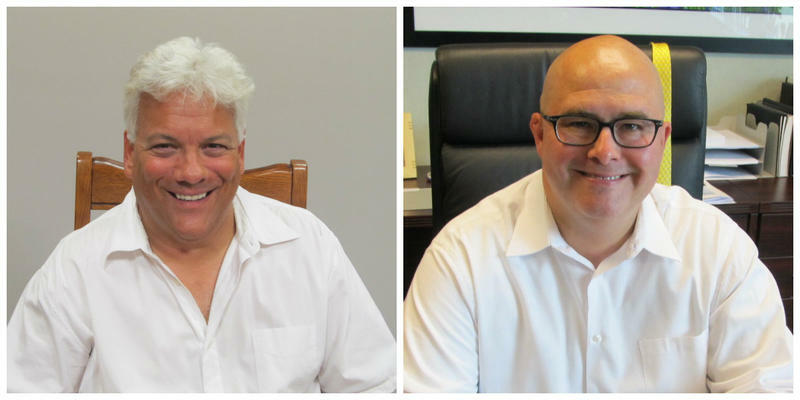 When Jim Gitz steps down as Freeport mayor next week, it will mark the end of an era. 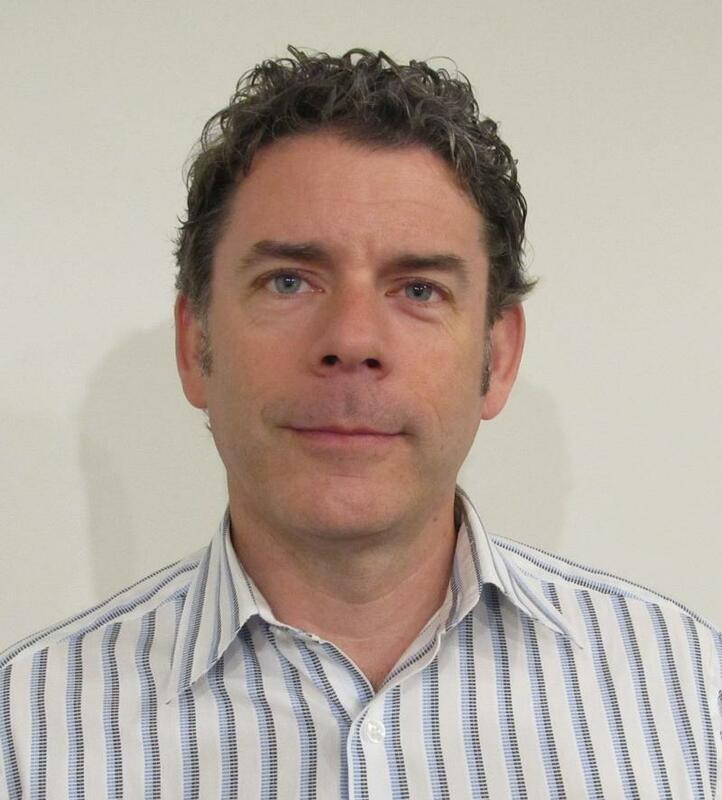 Voters approved moving to a city manager system of government last November. Freeport joins scores of cities in the state, including DeKalb and Woodstock, where day-to-day operations are run by a professional administrator. 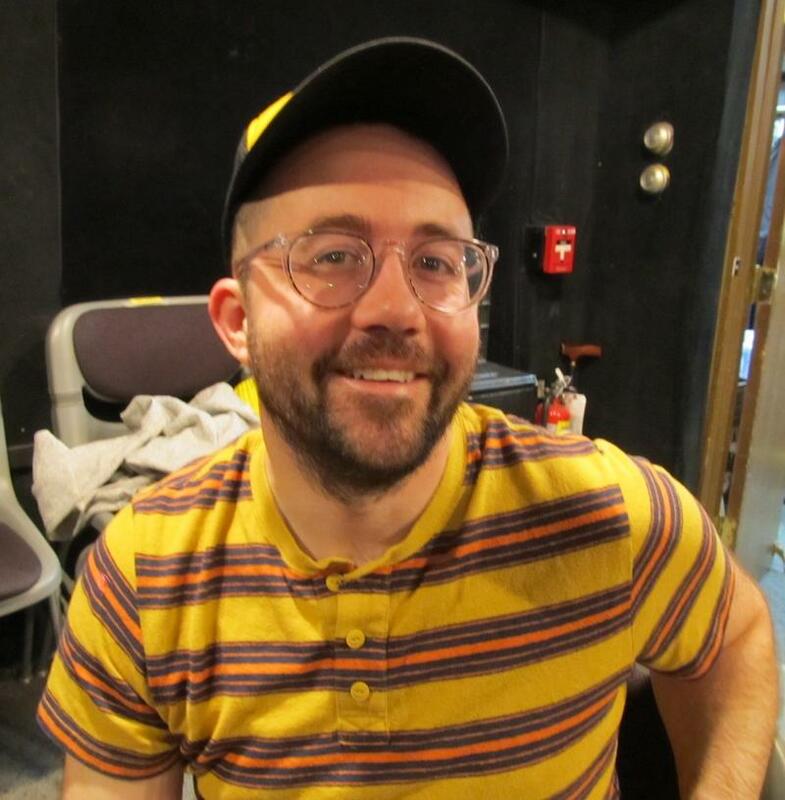 The move means Gitz was the city’s last full-time mayor. STEM stands for Science, Technology, Engineering and Math. 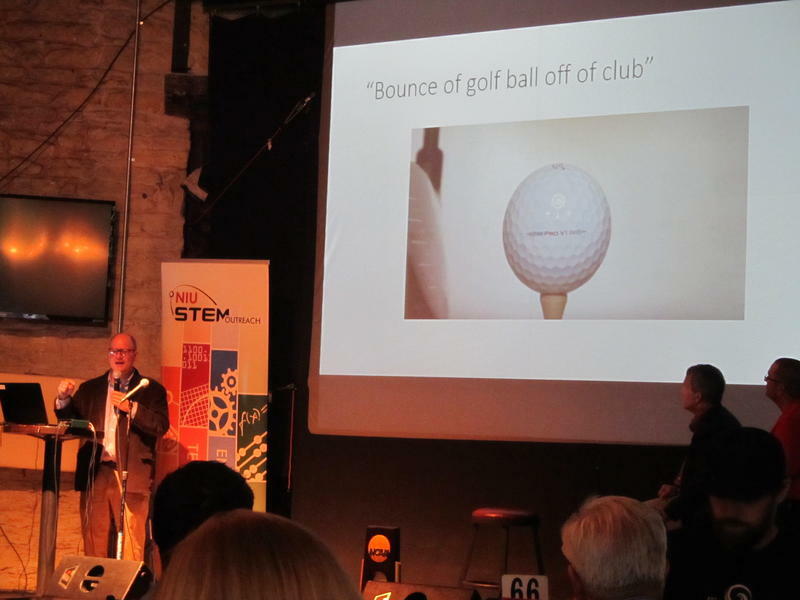 Northern Illinois University’s STEM Cafés bring experts in those fields together with the public in a setting that’s just about as far from a classroom or lecture hall as you can get. An effort to restore an Ogle County icon is advancing, but there’s still no money for actual repairs. 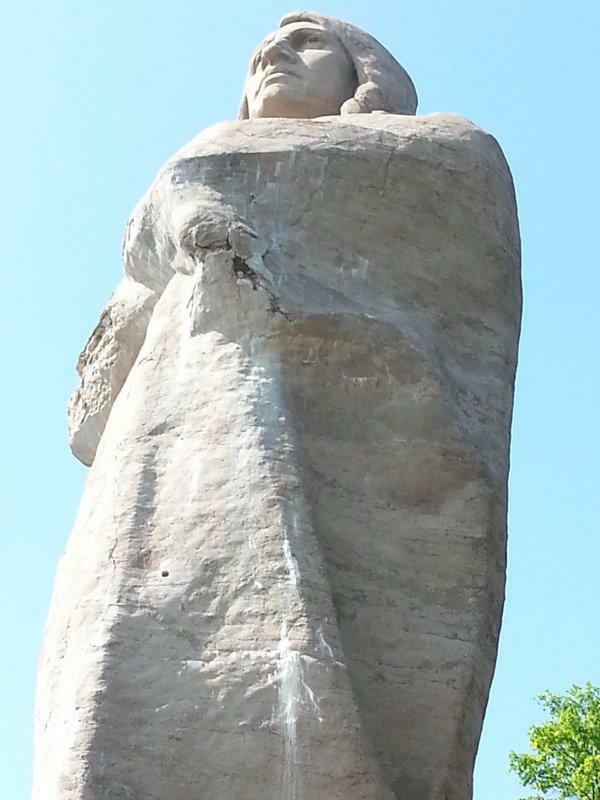 The years have not been kind to Lorado Taft’s monumental statue, known to many as “Black Hawk.” Standing high on a bluff overlooking the Rock River near Oregon, it’s literally falling to pieces. Illinois State Rep. Tom Demmer, R-Rochelle, says he’s been in regular contact with the Illinois Department of Natural Resources, which has authority over the statue. Demmer says that, despite the lack of a budget and other problems, some progress is being made. 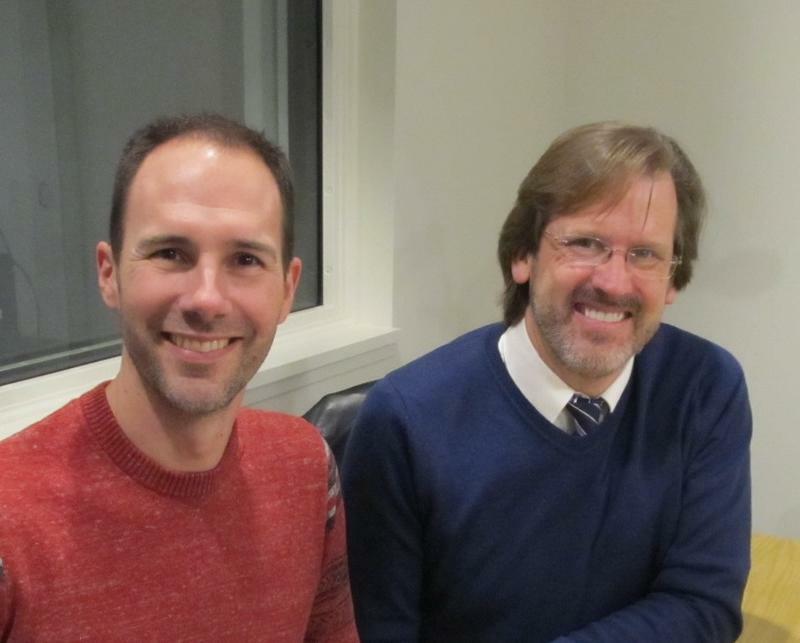 On Monday afternoon, a multi-disciplinary group of Northern Illinois University faculty will hold a panel discussion on “Brexit, Nationalism and Extremism: The Future of Europe" in the Cole Hall Auditorium. It’s part of a new series that promotes interaction between researchers in different areas, and with an audience of students from across the NIU campus, graduates and the larger community. 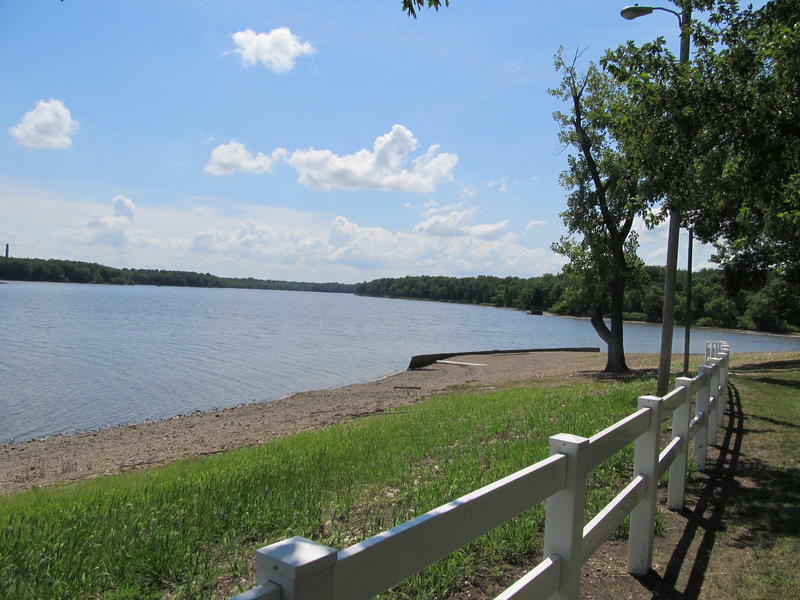 The weather is warming up, and that has many looking forward to activities like the summer boat races on Lake DePue next to the Illinois River. For the residents of the Village of DePue, it also means trying to enjoy the outdoors safely in a town suffering contamination from a Superfund site. Efforts to clean up the area began decades ago, but progress has been beyond slow. SwedishAmerican announced Tuesday it was investing $130 million to erect a new building and renovate the existing hospital on its main campus at 1401 East State Street in Rockford. 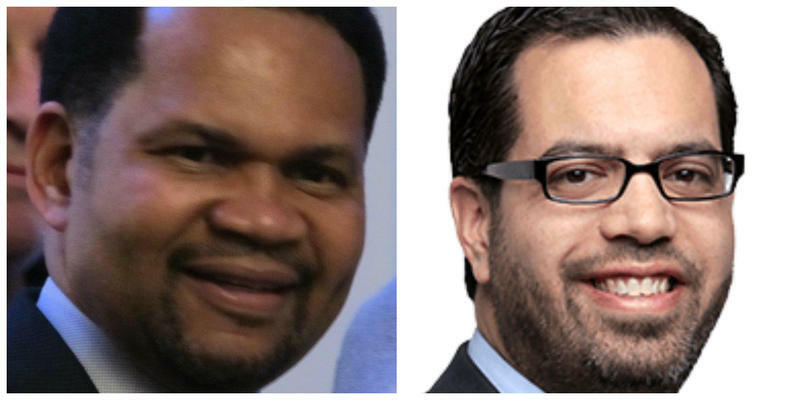 Rick Guzman conceded to Richard Irvin Friday in the Aurora mayoral race. Irvin declared victory late Tuesday night when unofficial totals from the polls put him 170 votes ahead of Rick Guzman. But Guzman said in an email Wednesday morning the race was too close to call. He said an unknown number of outstanding vote-by-mail, grace-period, overseas military and provisional ballots have yet to be counted. That left the possibility that the apparent result of the April 4 election could be reversed. 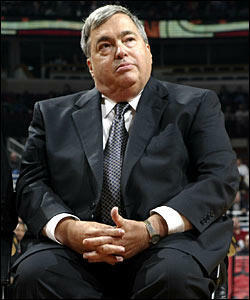 Jerry Krause, the general manager of the Chicago Bulls during a time when they won six NBA championships in eight seasons, died on Tuesday. He was 77. The Rockford Area Arts Council (RAAC) has named Sharon Nesbit-Davis as Executive Director. 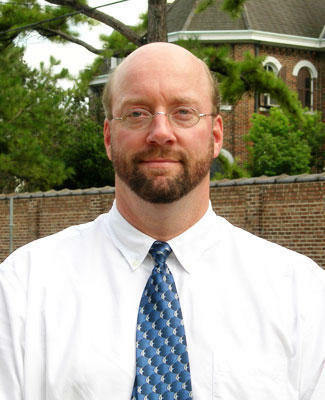 Nesbit-Davis had been Interim Director since August of 2016. She served as RAAC's Education and Engagement Director for twenty-one years, prior to which she worked as an Artist in Residence for the Illinois Arts Council and RAAC. A website that offers information to those interested in becoming a registered nurse ranked Kishwaukee College’s Nursing Program among the top 20 in Illinois. 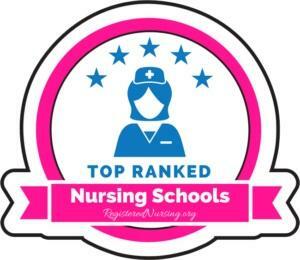 Registerednursing.org ranked Kishwaukee’s program at 14th out of 76 programs it rated in Illinois. Cleanup and assessment continues in the wake of the tornado that hit La Salle County last week. 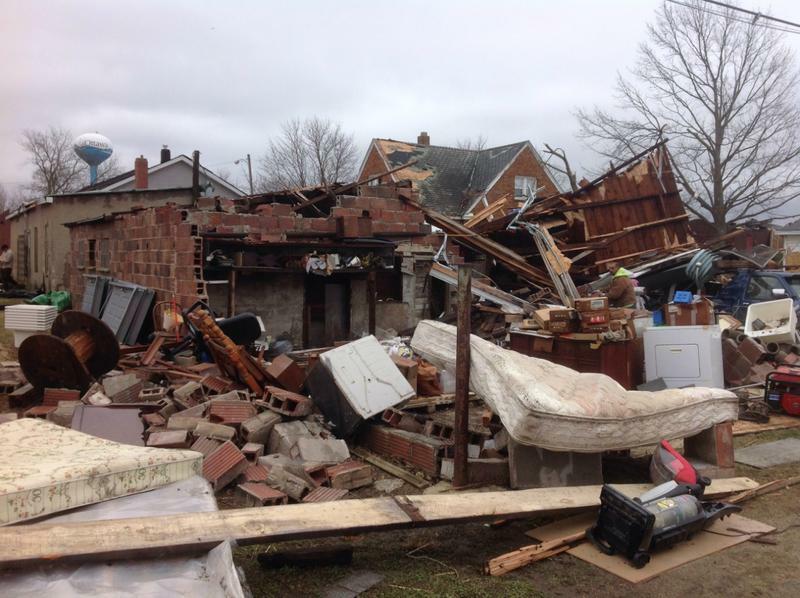 Two people died as a result of the storm that ran straight through the Village of Naplate and the south side of the City of Ottawa. Connie Brooks is the director of the LaSalle County Emergency Management Agency. She says she and others have been out every day to assess the damage, and have some preliminary numbers. The Dean of the Northern Illinois University College of Law has been placed on administrative leave pending an investigation.